If we were to pick a single New Year’s resolution for everyone, it would be to improve your cooking game this year. Everyone benefits from learning to cook! There is nothing quite like getting in the kitchen and the feeling of mastering a new dish, no matter how simple, and taking that first delicious bite. Talk about mouth-watering. Never cooked a single dish in your life? 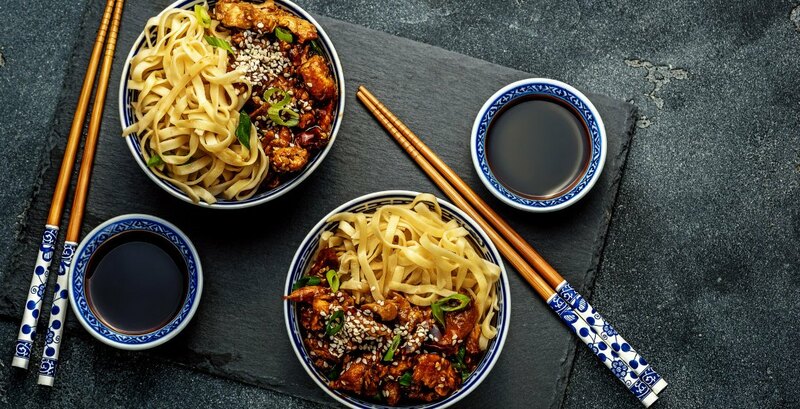 Don’t worry, it’s way easier than it sounds — and we’ve compiled these super easy recipes, courtesy of Lee Kum Kee, for some Asian-inspired dishes that will be sure to please at any occasion. Stir-fry asparagus, baby corn and red chilli in 2 tbsp oil for 1 minute. 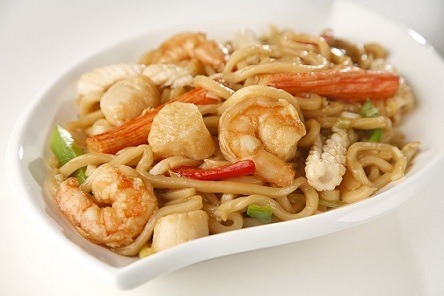 Add prawn meat, Lee Kum Kee Chilli Garlic Sauce, Lee Kum Kee Premium Oyster Flavoured Suace, and stir-fry until done. Chop roasted cashew nuts, sprinkle on top before serving. Combine Lee Kum Kee Premium Soy Sauce, Lee Kum Kee Pure Sesame Oil, rice vinegar, and sugar. Stir well to combine. Cook dumplings based on instructions. 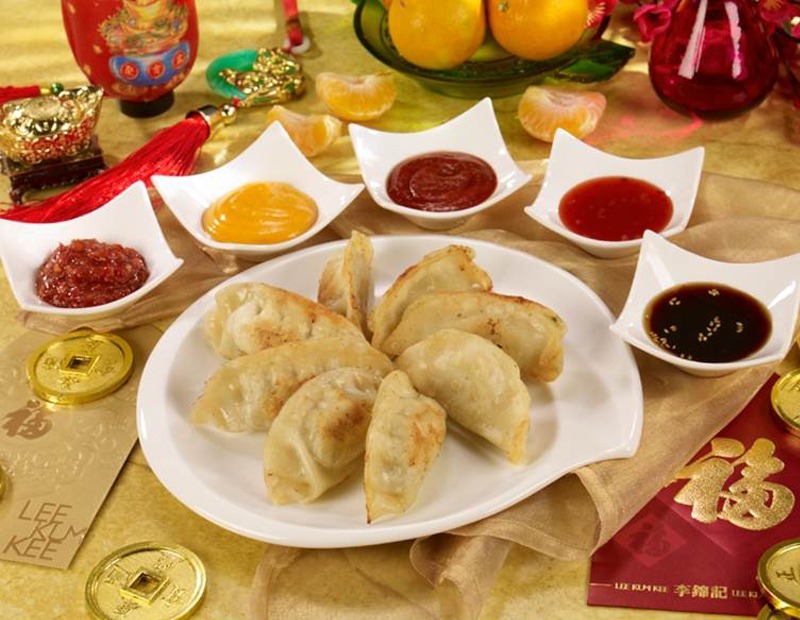 Serve dumplings with five different dipping sauces. Stir-fry assorted seafood in 2 tbsp oil, until done. Add bell pepper and carrot, and stir-fry for another minute. Stir in Japanese udon noodles, add minced garlic and Lee Kum Kee Sweet Soy Sauce until heated through. Serve. 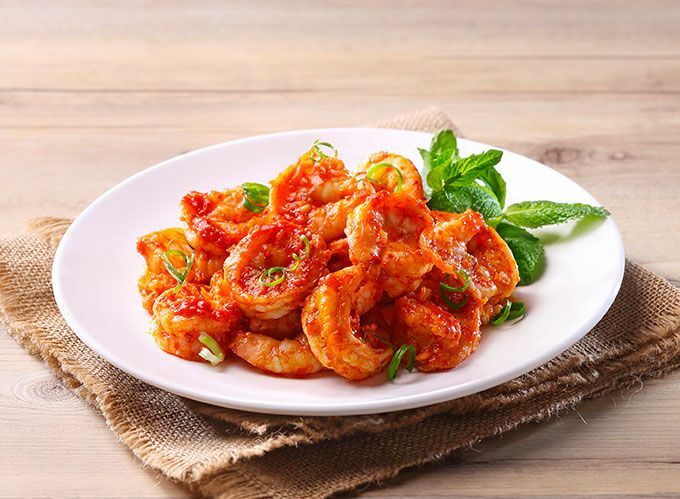 Mix 2/3 cup of Lee Kum Kee Sriracha Chilli, 2/3 cup of Lee Kum Kee Hoisin Sauce, ground black pepper, and cooking oil. Marinate chicken wings in marinade for four hours, or overnight. Preheat oven to 450 degrees for 15 minutes. 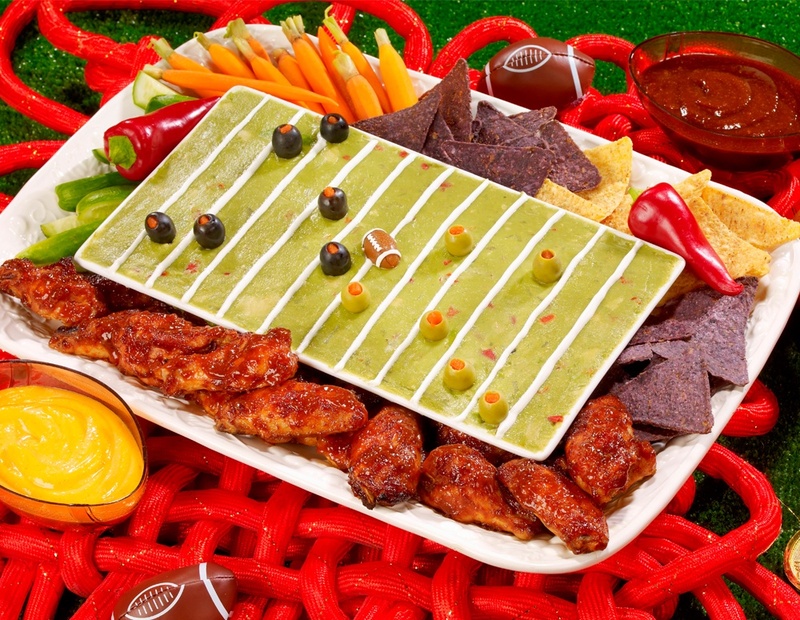 Bake wings for 45 minutes. Add 1/3 cup of Lee Kum Kee Sriracha Chilli Sauce and 1/3 cup of Lee Kum Kee Hoisin Sauce in a bowl and add wings. Toss well, and serve. 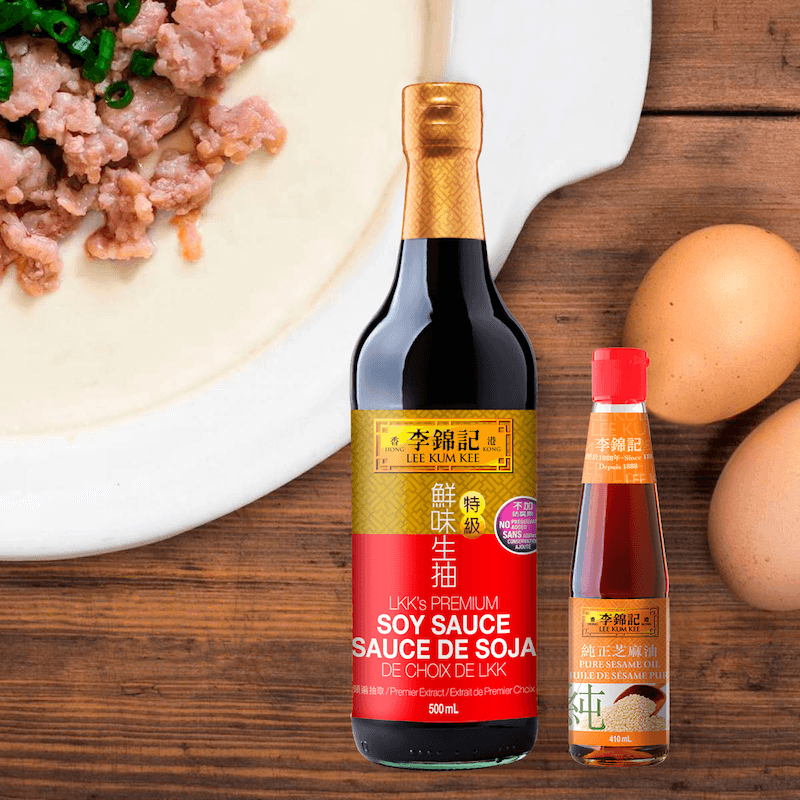 Established in 1888, Lee Kum Kee has had a long history of over 130 years becoming a household name as an authentic Asian condiment enterprise as well as an internationally recognized brand. With an uncompromising attitude towards quality, strict attention to detail and its century-long brand reputation, you can be sure that you are using sauces you know and trust. Get in the kitchen in 2019 and impress your loved ones with your newfound culinary skills this year! Don’t worry, we won’t spill the beans on how simple these dishes are.